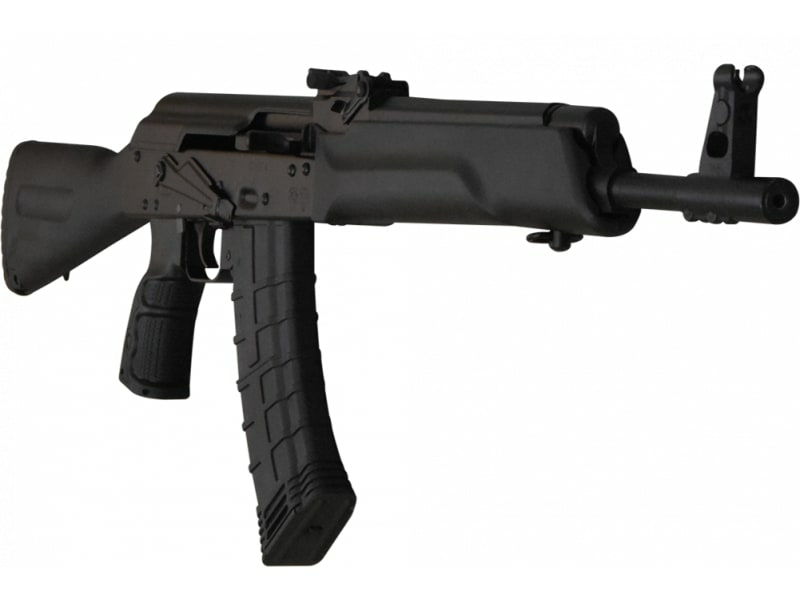 Russian Saiga 5.45x39 AK style rifle by Kalashnikov USA. Phoenix Stock W / CAA G47 Ergonomic Pistol Grip, 16" chrome-lined BBL, semi-automatic, 300m sight, includes one 30rd AK-74 mag - 5.45x39 caliber. The combination of the customized pistol grip and the highly desirable Phoenix stock make these one of the most comfortable and controllable rifles on the market today. These are super nice with all of the 922r modifications done by the importer. U.S. parts count meets full 922r Compliance - Russian Saiga AK style riflle in 5.45x39 caliber. One of the smoothest operating, best looking Russian AK style rifles available. 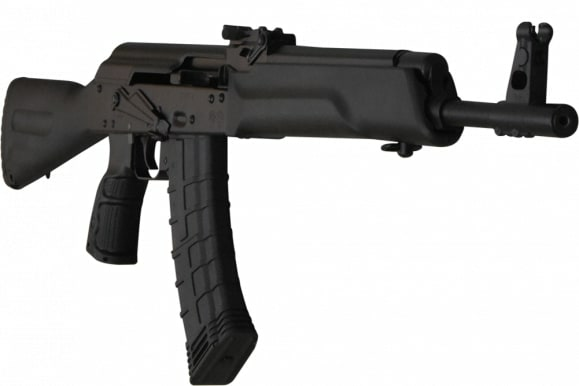 Fully 922r compliant, accepts all standard high capacity AK-74 mags. Integral scope mount on receiver. These rifles have been converted from the original Saiga configuration, to a more standardized military style AK rifle configuration. The U.S. parts count on the rifle itself meets full 922r Compliance. This allows the rifle to legally use any high cap AK-74 5.45x39 caliber mag or drum regardless of its country of origin. The compliance conversion on these rifles was done on site by Kalashnikov USA and they were really done right. The workmanship is flawless with no sign that these are converted as opposed to a factory finished rifle. 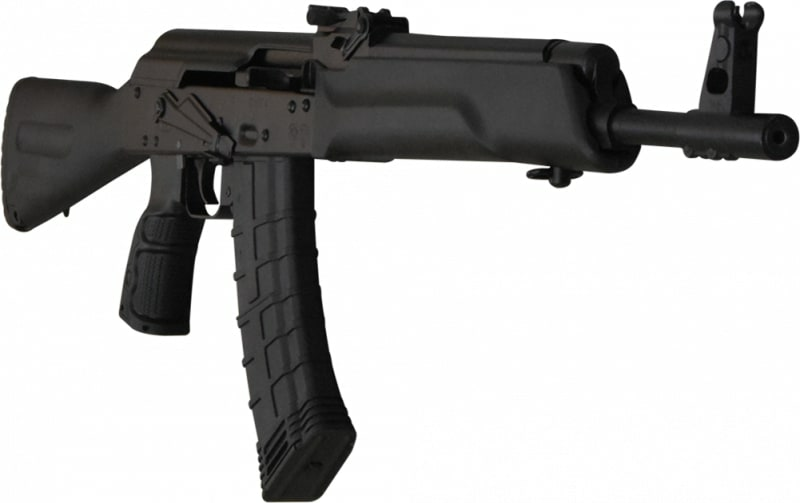 Compliance parts include Phoenix Buttstock, CAA G43 Ergo Pistol grip and 3 piece G-2 No Slap trigger set by Tapco. I absolutely believe that the conversion on these rifles leaves them in a condition that is of superior quality to the original rifle configuration. 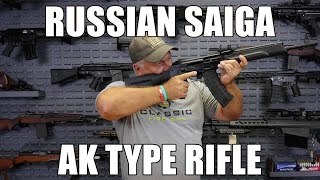 This rifle quite possibly has the best fit and feel of any Saiga AK style rifle on the market today and the 5.45x39 caliber chambering should make it extremely popular. Accepts and feeds flawlessly from all high cap AK-74 mags regardless of their country of origin. Each Rifle ships complete with one 30rd mag, cleaning kit and manual. 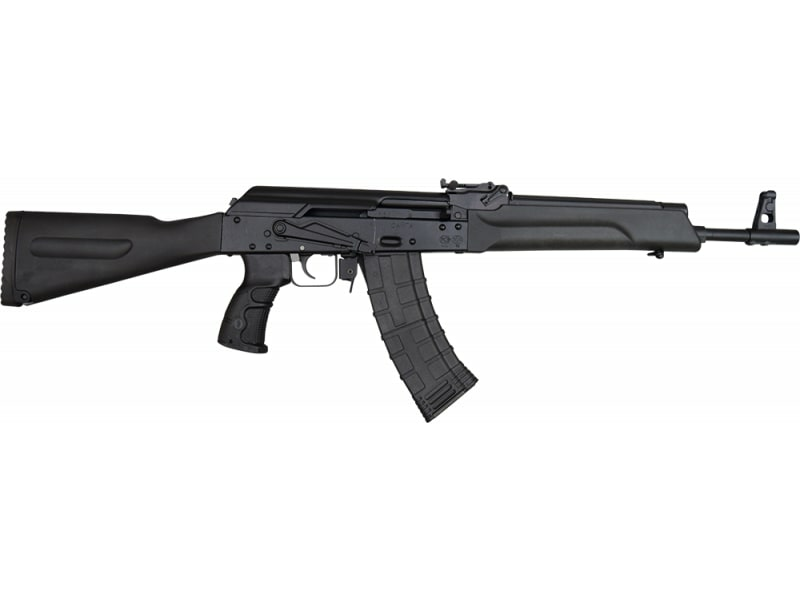 Russian Saiga 5.45x39 AK style rifle by Kalashnikov USA. Phoenix Stock W / CAA Ergonomic Pistol Grip, 16" chrome-lined BBL, semi-automatic, 300m sight, includes one 30rd AK-74 mag - 5.45x39 caliber. These are super nice with all of the 922r modifications done by the importer. 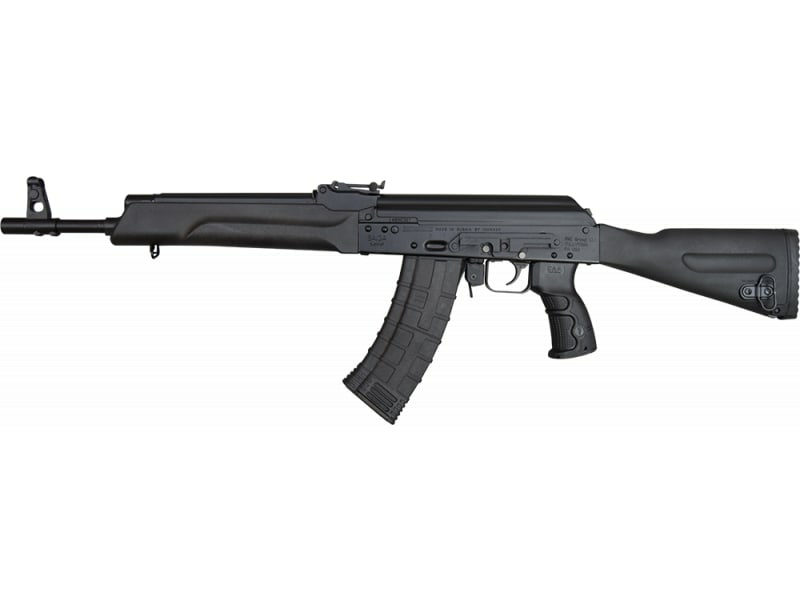 Century Arms RI3289-N C39V2 Poly Tactical 16.5" Milled Receiver AK-47 rifle.